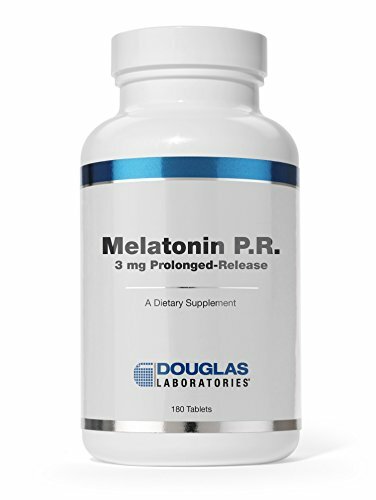 Melatonin P.R. tablets, provided by Douglas Laboratories, contain 3 mg of purest pharmaceutical grade melatonin, in a prolonged-release tablet. 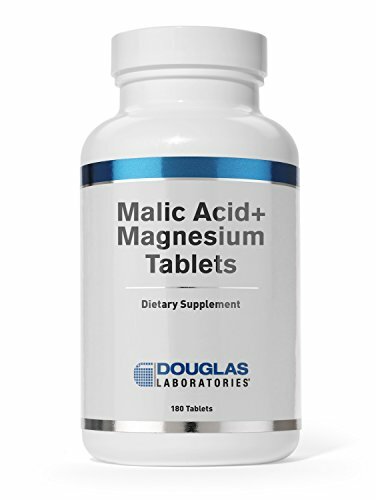 Malic Acid + Magnesium, supplied by Douglas Laboratories, provides a professional formula of 500 mg of malic acid, 200 mg magnesium hydroxide, 30 mg Vitamin C and 10 mg of lemon bioflavonoids in an easy to swallow tablet. 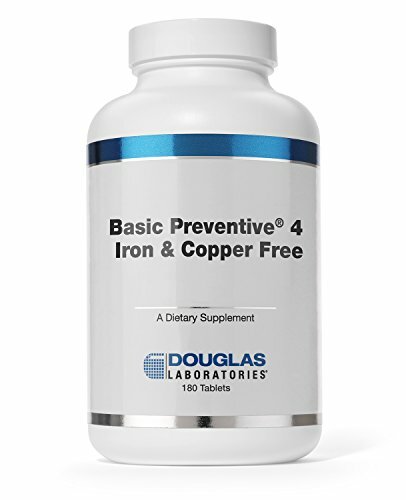 Basic Preventive 4, provided by Douglas Laboratories, is a comprehensive, highly concentrated vitamin-mineral-trace element supplement containing more than 30 essential nutritional ingredients. 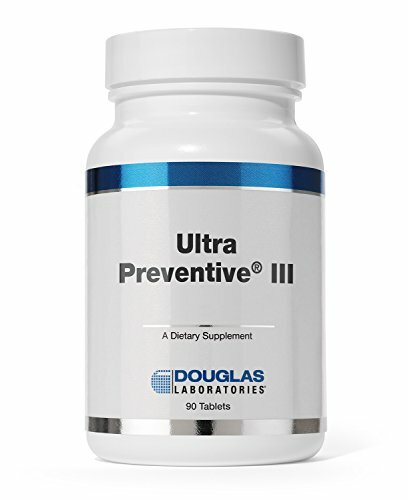 Basic Preventive 4 is more than just another multivitamin supplement. It is a potent antioxidant formula with natural beta-carotene (from D. salina) and natural vitamin E; a high-potency B-complex supplement; a significant source of bioavailable calcium and magnesium; and a full-spectrum trace element supplement. Basic Preventive 4 uses only the purest, most hypoallergenic ingredients and contains no yeast; corn; wheat; sugar or other sweeteners; artificial colors, flavors or preservatives. This formula is copper free. Ultrazyme is Douglas Laboratories natural dietary supplement specifically formulated with bile and active digestive enzymes that act synergistically to assist in the healthy functioning of fat, protein, and carbohydrate digestion. 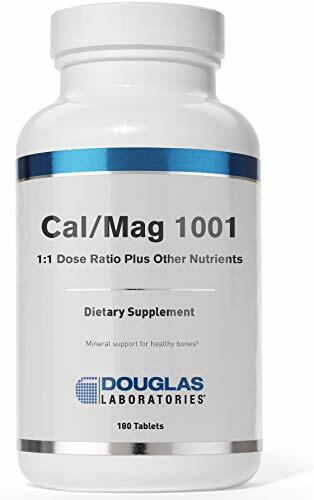 Cal/Mag 1001 tablets from Douglas Laboratories provide 500 mg of elemental calcium from a calcium citrate/ascorbate complex, together with significant amounts of magnesium from an aspartate/ascorbate complex, as well as vitamin D-3. Other nutrients are also included to assist the body in maintaining healthy bone structure. 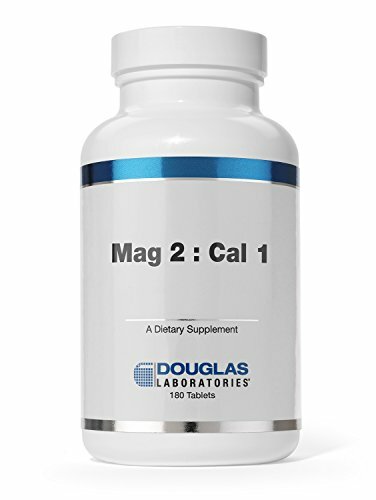 Mag 2: Cal 1 tablets, as provided by Douglas Laboratories, deliver 250 mg of elemental magnesium and 125 mg of elemental calcium in highly bioavailable forms. 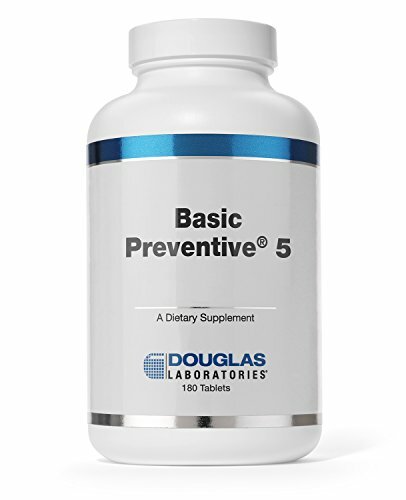 Basic Preventive 5, provided by Douglas Laboratories, is a comprehensive, highly concentrated vitamin-mineral-trace element supplement containing more than 30 essential nutritional ingredients. Basic Preventive 5 is more than just another multivitamin supplement. It is a potent antioxidant formula with natural beta-carotene (from D. salina) and natural vitamin E; a high-potency B-complex supplement; a significant source of bioavailable calcium and magnesium; and a full-spectrum trace element supplement. Basic Preventive 5 uses only the purest, most hypoallergenic ingredients and contains no yeast; corn; wheat; sugar or other sweeteners; artificial colors, flavors or preservatives. Disc-Discovery 180 tabsA Dietary SupplementSupplement FactsServing Size: 2 tabletsServings Per Container: 90Amount Per Serving: Vitamin C (Calcium Ascorbate and Ascorbic Acid 200 mg Vitamin D3 60 IU Vitamin B6 20 mg Calcium 200 mg Magnesium 100 mg Zinc 10 mg Manganese 10 mg Potassium 50 mg Bovine Tracheal Cartilage 400 mg (source of chondroitin 4 and 6 sulfates)Pectin (source of silicon) 200 mg Equisetum arvense 20 mg (horsetail rush source of silicon)Pepsin 10 mgTaurine 100 mg Serine 60 mg Other ingredients: calcium pyrophosphate, microcrystalline cellulose, stearic acid, magnesium sulfate, potassium citrate, calcium ascorbate, magnesium oxide, manganese glycine amino acid chelate, vegetable stearate, zinc sulfate, talc.Suggested Use: As a dietary supplement, take 2 tablets, three times daily with meals or as directed by your health care practitioner.Warning: If pregnant or nursing, consult your health care practitioner before taking this productKeep out of reach of children.Store in a cool, dry place.This product is free of citrus, corn, egg, gluten, milk, sodium, soy, wheat, yeast, added sugars, starches, synthetic dyes, artificial flavorings and preservatives.Color of this product may vary due to color variations of the natural ingredients.A Bovine Cartilage Manganese Supplement to Support Back Function*We pledge total truth in labeling. Our family of products contain only the purest and most potent ingredients. Guaranteed. *This statement has not been evaluated by the Food and Drug Administration. This product is not intended to diagnose, treat, cure, or prevent any disease. Developing a multi and targeted nutrients that are Certified USDA Organic, Non-GMO Project Verified, made from nothing but real, whole foods is incredibly difficult—which is likely why it had never been done before. For us, it took years of innovation and patience. Our extended family of organic farmers provides the fresh fruits, vegetables and herbs that make up mykind Organics’ personalized, whole food formulas. Each tablet or spray provides clean, whole food, perfect nutrition. In addition, mykind Organics is the first multi to utilize Clean Tablet Technology, our patent-pending process that uses only organic, whole food ingredients. 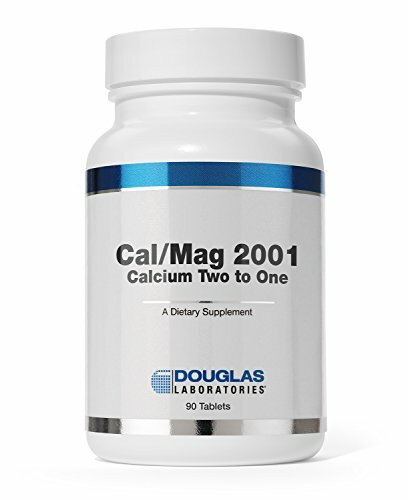 Finally, a whole food calcium formula that includes plant-sourced magnesium, Vegan D3 and Vitamin K2 as MK-7, that’s both Certified USDA Organic and Non-GMO Project Verified. Many calcium supplements come from rocks—ground-up, pulverized limestone—but Organic Plant Calcium is made from organic plants, including 20 powdered fruits and vegetables. Bone health is a huge concern for millions of people in the United States who already have osteoporosis or are at high risk for it due to low bone mass—a number which is projected to increase. That’s why daily supplementation with a high-quality calcium supplement formula such as Organic Plant Calcium is so important as part of a daily bone health program—one that also incorporates calcium-rich foods and daily, low-impact exercise. Choline is part of the B-Complex vitamins and is critical for the optimal functioning of cells. Choline is an essential precursor to acetylcholine a stimulatory neurotransmitter. it helps the body produce HDL (good) cholesterol and lipotropic agents which convert fat into useful products. This product is 100 % natural choline bound to tartaric acid for enhanced absorption. Viviscal Man hair growth supplements are clinically proven to nourish thinning hair among men and promote the growth of existing hair. Male-pattern baldness is the most common type of hair loss in men. Do you want to know how to stop male pattern baldness and reduce hair loss? Viviscal Man hair growth vitamins for men reduce hair shedding, nourish hair follicles and effectively treat hair loss. Viviscal Man vitamin supplements nourish thinning hair in men and promote existing hair growth from within. These hair vitamins contain ingredients of natural origins. Viviscal Man is backed by over 20 years of continuous research and has had proven results in clinical trials with some of the world's leading clinicians. ULTIMATE IMMUNITY*: SystemWell is the Multi-System Defense* formula MULTI-SYSTEM DEFENSE*: Five esstential aspects of healthy immunity - cellular, circulatory, digestive, respiratory, and systemic* DAILY MAINTENANCE: Easy and convenient daily dose of 1-2 tablets. NO ADDITIVES: Contains no sugar, salt, yeast, soy, dairy products, artificial colors, flavors, or preservatives. *These statements have not been evaluated by the Food & Drug Administration. These products are not intended to diagnose, treat, cure or prevent any disease.